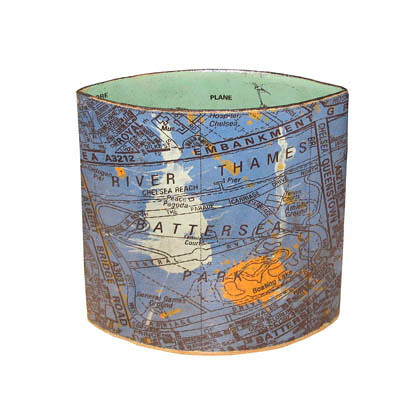 Annabel Faraday is a ceramicist from East London who has a fascination with maps and their relationship with landscape, earth and clay. This fascination results in a unique business, that of crafting stoneware ceramic pieces and ray clay, merging them into gorgeous works of art. 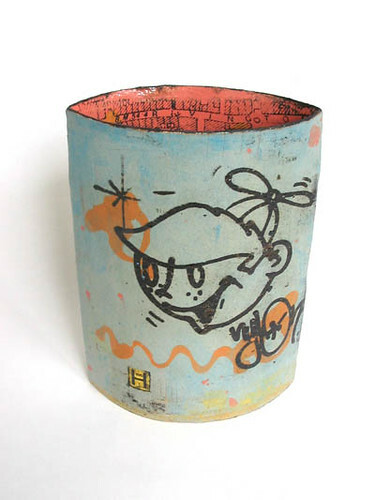 Some of her vessels feature victorian maps printed on inner surfaces and contemporary street graffiti on the outer. Select from platters, pots, cylinders, bowls and bottles... all are one-of-a-kind. She also welcomes commissions, designing a lovely piece using images that relate to where you live or where you dream of living. I love her work because travel and exploration are two things that I really enjoy, and maps are often an essential part of a meaningful journey.